After nearly two years of rigorous work by donors and volunteers, the “Elk Cam” is now live to see elk while they are active during September and October as breeding season approaches. 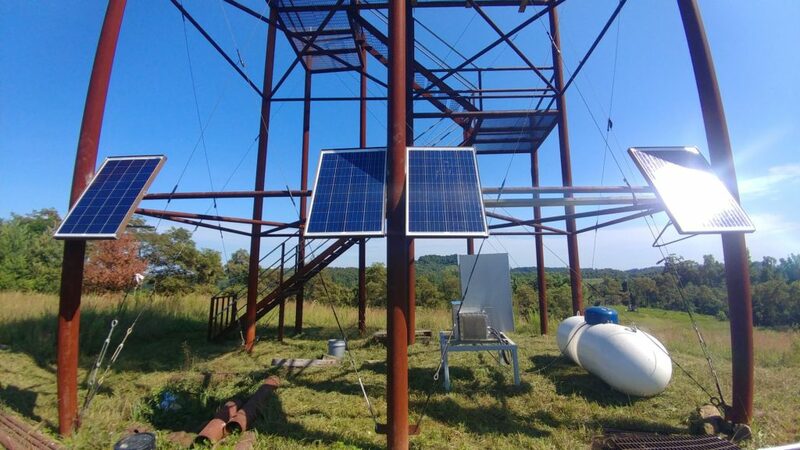 Since April of 2017, DGIF and local sponsors have been updating an old viewing tower located in Vansant, Va., a small town in Buchanan County dominantly known for coal mining in the southwest region of the state. 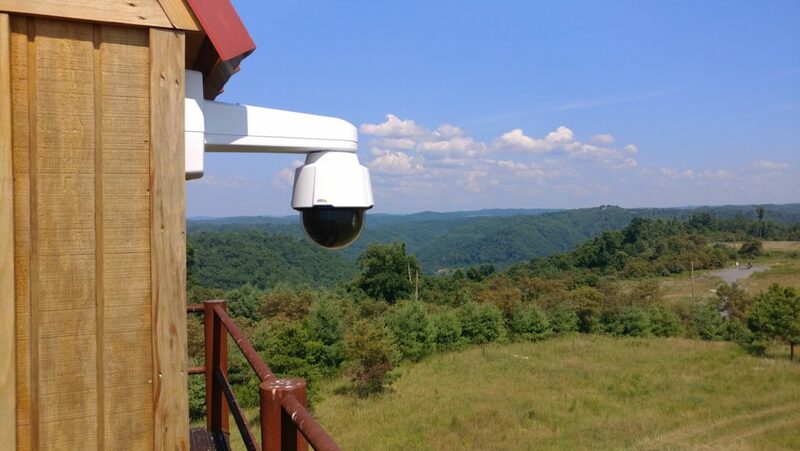 David Kalb, Elk Project Leader for Virginia Department of Game & Inland Fisheries, envisioned a viewing camera to provide an opportunity for people at long distances to witness the elk restoration rebounding in the southwest corner of Virginia. He considers elk a remarkable species to watch. The location of the elk herd and the viewing camera are remote, and there is no power to generate the camera. Creating a power source on top of a mountain without power or internet access is a complicated process. Most of the information, power sources, hardware and labor, was all provided by volunteers. 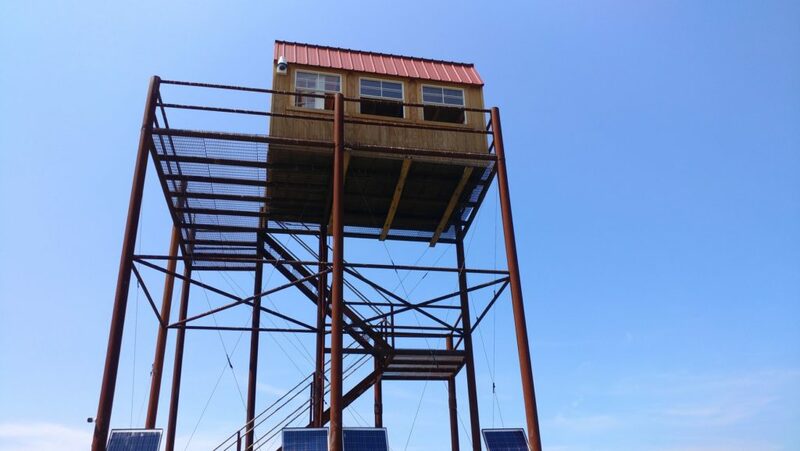 The power is generated from a propane generator and solar panels mounted on the tower. The solar panels charge batteries that give energy to the generator to power the camera and internet access. 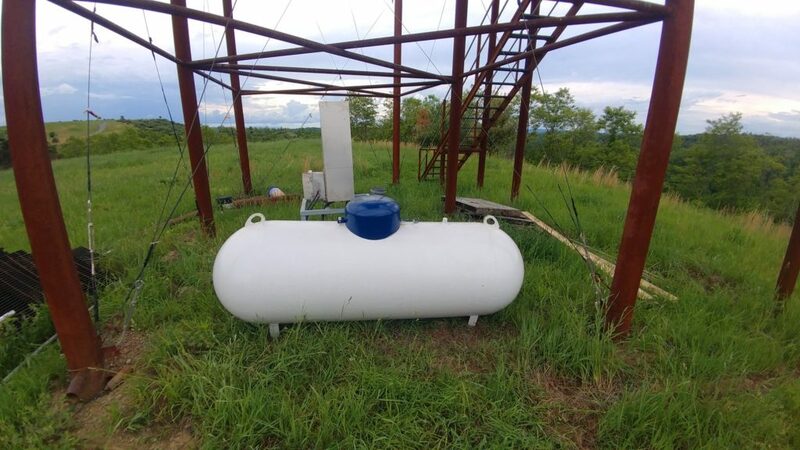 CNX gas, a local gas and drilling company in southwest Virginia, provided the generator to run the camera. The generators run on the propane tank, which was provided by Vansant Lumber, a locally-owned hardware store. Vansant Lumber also donated 75 gallons of propane to get the viewing camera running. The camera itself is about the size of a softball, and sits at the top of the 35 foot viewing tower that overlooks the valley where the elk range. IGO Technologies, a locally-owned internet service provider, has contributed resources to route the live broadcast through the internet to our website from the remote location. The elk cam structure is a stationary, single unit that creates all of its own power. The camera will only operate at certain times during the year, primarily when the elk are most active. The volunteers and other stakeholders have spent numerous hours since April 2017 working on the elk camera construction. Building a self-powered unit from the ground up and ensuring the essential equipment was in place for the camera to operate was not easy. It has taken over a year to implement the proper equipment for the camera, but the tedious work is expected to pay-off for all of those who contributed time, equipment, work and funding for the public to enjoy. “For us, it was worth the wait,” says Kalb. The closet urban township to Vansant is Blacksburg, which is still nearly two hours away – a long way for anyone to travel to see elk. Kalb says the camera was built for people in mind who are interested in the elk, but who can’t make the trip down, but also to simply showcase the achievement of the species. “We want to provide something for the enjoyment of all Virginian’s,” says Kalb. Leon Boyd, DGIF board member, president of the Southwest Virginia Sportsman’s Club, and chairman for the Rocky Mountain Elk Foundation (RMEF) Southwest Virginia Chapter, says that he anticipates that the camera will incentivize folks to travel to Vansant to see the project and the elk herd in-person. Boyd says the camera will illustrate the benefits that reclaimed coal mining fields has on wildlife habitat, which he expects will be encouraging for tourism to the area. “I think if you can physically see what can be done, it changes whole thought-process on the project,” he says. Three elk viewing stations are expected to open by September. The public will have the opportunity to see elk in-person from a sheltered station located on Buchanan county IDA property. Sponsors and volunteers have also made the viewing stations possible. Tireless efforts by volunteers and sponsors for the restoration of elk and their habitat in Virginia has been the backbone of the project. These volunteers and participants are among the largest contributors to elk restoration, providing time and resources where it is vital to help the species thrive, and accentuating a new reputation for coal-mining country. “We are trying to build-up information about Vansant and put it on the map for Virginia businesses,” says Kalb. “It really works hand-in-hand. They are providing us free materials for the project and we rely on them to find time and gaps in their schedule to work with us,” he says. Hopes rely on the future of elk restoration in Virginia to augment ecotourism and give prominence to isolated destinations in the state. Boyd says that the elk herd is already experiencing an impact in tourism to the southwestern region of the state. “We are already seeing a boost in the economy for tourism from people who book trips at hotels for state park touring or visiting,” he says. 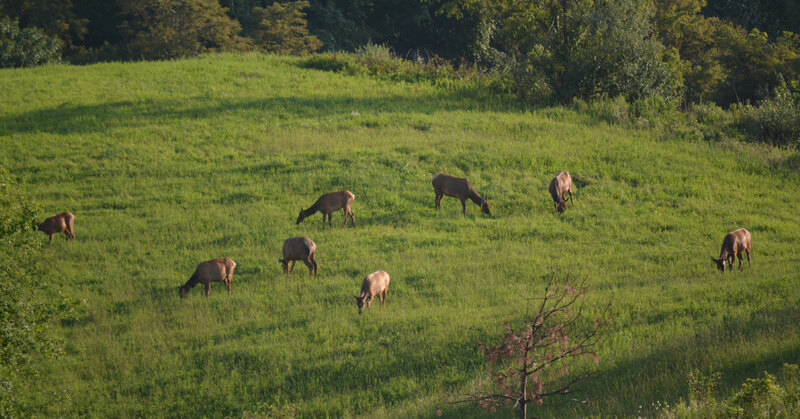 The DGIF Elk Cam will provide opportunities for all who are interested in watching the marvelous species as they landmark their return in the foothills of Virginia.